An early summer wedding in Mykonos for 2017! Time flies as you know and the summer 2017- especially if you are organizing an event or a wedding in Mykonos- is much closer that you might think. An early summer wedding in Mykonos for 2017 is great and has some quite good prospects to enjoy the island of Mykonos, the first beams of the sun and much more. The people of Mykonos Catering Services have some great ideas for your event at the beginning of the summer and below you will read some interesting points about the advantages of an early summer event. The prices are much more affordable at the beginning of the season. With early season we mean late April and May. Accommodation for your guests will be easier to find and pay. What you will win from this prospect? You can invite more people and get some great prices for their rooms. Keep in mind that upgrades are much easier! The weather- especially in May- is absolutely summery. Sunny days and refreshing temperatures are making the days before and after your event an amazing opportunity to enjoy the island of Mykonos. The roads are not that busy, restaurants, cafes and attractions are all open, getting ready to welcome their first guests and share what they have prepared for the new season. You don’t have to limit your options on the venue choice as there will be no problem in choosing an open air space to host your event. 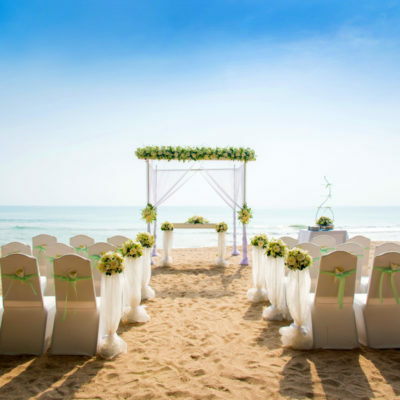 Plus you will find more available dates to organize your event whenever it suits you best. 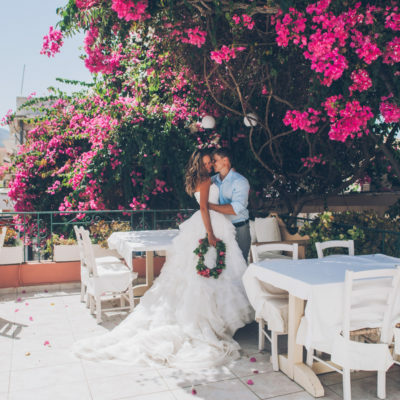 To conclude, an early summer wedding in Mykonos for 2017 is a first class opportunity to have it all; the best prices, a wide choice of accommodation and venues plus an island ready to be enjoyed and explored without worrying about traffic and delays. So, don’t even think about it; now it’s the time to start booking and organizing the details of your event in Mykonos. The people of Mykonos Catering Services are ready to consult and help you out with everything if you just click on www.mykonoscateringservices.com. 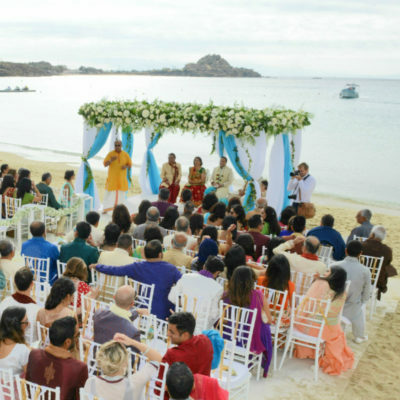 An Indian Wedding in Mykonos Island!